It's been a great first week on the 52 Quilters blog, and I'm sad but excited to pass the baton on to the next quilter. Starting tomorrow you'll meet quilter #2 on the blog, instagram and twitter but while I've still got control of the accounts I'm going to do a quick round up of the first week and my thoughts on the project so far! 52 Quilters has been a nice way for me to start out the new year: kicking off the project has given me a good incentive to get making and meet some new people (virtually and in real life! ), as well as giving me some food for thought on what I make and how I work. Like a lot of people, I find January a tough month: in London it's cold and grey, and for me it's always that little bit greyer if I've been home at Christmas because my return to the UK reminds me of the distance between me and my roots in Canada. Seeing friends and family over the holidays is both reviving and exhausting, and as a result the return to 'normal' in January always feels a bit dull. Posting on 52 Quilters and engaging with so many people has helped me see the year of possibilities beyond cold, grey January and having so many comments and likes on my posting the minutiae of my life has helped me appreciate what I have. Connecting with so many people through the '52 has helped the distance I sometimes sense in January feel a little less far, and for that I'm really thankful. I also completed my 8-inch square piece for the 52 Quilters quilt. I sketched out some paper-pieced numbers and letters this morning and created the first block of 52 that will go into the quilt. Because I knew it would not take up too much of my stash, I used the indelible collection fabrics I bought last week in Toronto as a way to mark my week in the '52 and start to play with the fabrics. Lastly, I learned a few things about keeping focus. I've recently taken part in my first online mini-quilt swaps and this week have been working on a fairly small scale: planning my #rainbowminiswap project, creating my patch for the '52 quilt and making a baby quilt. Although I'm often planning grand projects and rushing myself through to gain satisfaction from the finished product, I'm learning that there is a lot to be said for taking small, measured steps and working in focus. Seeing posts from people doing the New Hexagon quilt along and the progress of people attempting quilts from Millefiori Quilts by Willyne Hammerstein through social media has really inspired me. I'm so impressed by the patience and focus people have to work in such detail, hand-sewing one small piece at a time. I don't really do new year's resolutions, but as a result of this week, I want to make 'focus' my word of the year for 2015. In 2014, my year was defined the word 'resilience': I learned to have confidence in my own and I learned to accept that there were certain things I couldn't control or change. I think I have learned that instead of fighting or worrying about things I can't fix, I can instead support myself by doing things which feed my own resilience. This year I want to remember to have focus: focus in the work I do, focus on my goals and focus in those moments that seem like minutiae: not just taking a photo and posting it to social media, but really taking the time to value what I have. Thank you for all your likes, comments, tweets and other bits of support this week... and for helping me find my focus. I'm so grateful that this project is taking off, and I'm so excited to see where things go. As a way of finishing my week, I'd love to know what words or ideas will inspire you this year or what things help you cope with the January blues greys. Please comment and share below. p.s. If you've liked following me this week, you can find me on social media and follow my blog here. I'll definitely post, comment and check in here a few times throughout the year, but I'm pleased to now be stepping out of the spotlight and passing on the blog to the next quilter. Great post! I agree, sometimes the beginning of a new year can be underwhelming. We travel to be with family at Christmas too and it's always hard to come home and leave loved ones behind. I love your word for 2015 and I hope it brings you the direction you need. Can't wait to see how this project expands and swells over the year. I am SO glad you started this social experiment--it is fabulous!! As I said, I only wish I would have known sooner. Is there a waiting list for 2016 because I sure would like to be on it! I think focus is a great word. I have chosen "finish" as there are so many WIPs that need to see the light of day. So maybe I will combine my word with yours as I definitely need to focus and not get distracted in order to get anything finished. HI Live a Colourful Life - thanks for your encouraging words! 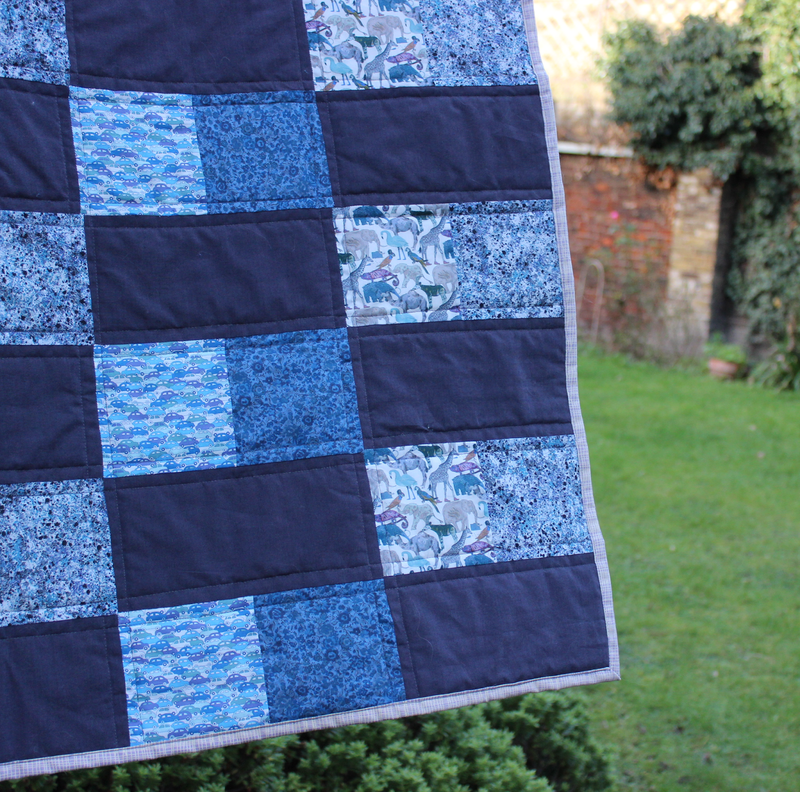 I've only booked the first 16 quilters for 2015, so there is still a possibility that you could get involved. Email me at 52quilters at gmail dot com if you'd like to be notified when the next round opens.